A Chieftain of the APC in Ekiti State, Bamidele Faparusi, said the latest pictures have dispelled rumours that Buhari is very sick. The All Progressives Congress in Ekiti State has called for the investigation of Governor Ayodele Fayose over his comment that President Muhammadu Buhari was on life support machine. Fayose, who has religiously criticised the Buhari administration, had sworn that the President's health had deteriorated and called for his resignation. But the round-about turn of events may have proven the Governor wrong. As seen in photos taken from the visits of Governors to Buhari in London, the President looks rejuvenated. In view of this, A Chieftain of the APC in Ekiti, Bamidele Faparusi, called on the Department of State Services (DSS) to investigate Fayose, adding that his comment is tantamount to treasonable felony. In a statement issued on Wednesday, July 26, Faparusi the latest pictures have dispelled rumours that Buhari is very sick. He said the DSS should interrogate the Governor to know where he got the "devilish information from so that the country can ascertain those plotting evil against the Federal Government." He said, "Governor Fayose must tell the country what informed his interest to persistently dig unsubstantiated information about Buhari’s health if not for the fact that he was one of those plotting to stage a coup against the country. "The Presidency is the symbol of our dear nation and it needs to be shielded against debasement by desperados who can do anything to grab power. "Recently, the Chief of Army Staff, Lt. Gen. Tukur Buratai, raised an alarm that some men of the Nigerian army were plotting to stage a coup at a time the President was out of the country. This formed the basis for why Governor Fayose must be called to question. "I quite appreciate the fact that the governor enjoys immunity under Section 308 of the 1999 Constitution, but the constitution doesn’t say he can’t be investigated. The EFCC had investigated him over alleged involvement in N2.999bn arms scandal. "The APC has it on good authority that the PDP was planning to truncate democracy under Buhari and disunite the country and Governor Fayose as the arrowhead has been intensifying efforts in this sinister scheme to the see that the President is dead. "What marveled us was that he made the startling allegations quoting date and the location of Mr. President in London. This called for concern and should not be taken lightly." 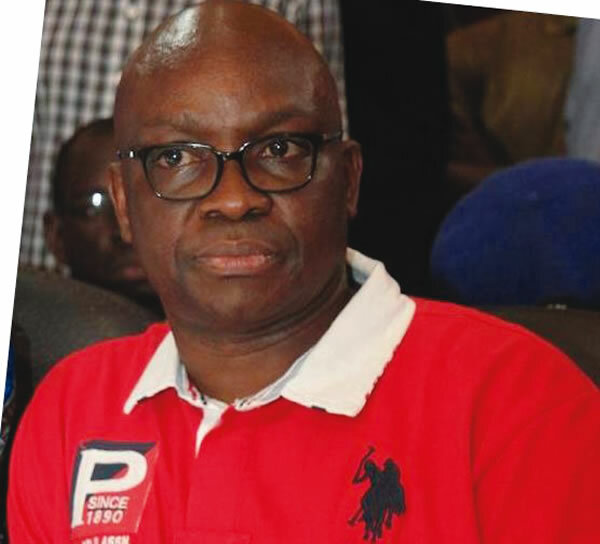 Fayose has been vocal about his ambition to become Nigeria's President in no distant future. A 'Fayose for President' campaign page was recently opened on Facebook ahead of the 2019 general elections. The Governor has, however, not made it clear if he plans to run for the President's seat in 2019 or it is just a future goal.